After recent harvesting by the forestry commission of a significant area of our woodland, we were hard pressed to get a decent course together so massive thank you to all the hard working club members for turning up to the numerous work parties over the last two months to get this organized and to everyone who came on the day including the admin, marshals, course layers and committee. 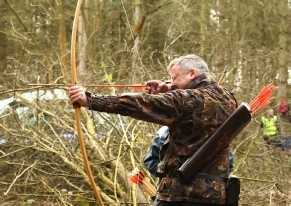 The completely new course of 36 targets was appreciated by 122 archers on the day and the snow and hail didn’t stop anyone from enjoying the day. To mark Mother’s Day, two Mums won a bunch of flowers and we also raised a donation for Paula Kimbley’s daughter who is doing a charity sky-dive, good luck. 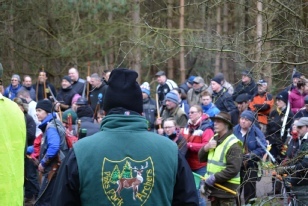 We have had some amazing compliments on our new layout and we give a warm thanks to all of you archers who put with snow and hail to enjoy our first shoot of the year.